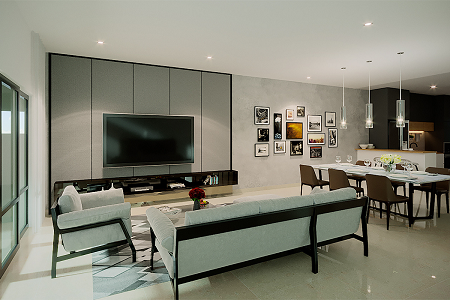 Designed for residents to rediscover the simple pleasures of life, Serene Heights Bangi, a development by UEM Sunrise, covers 448 acres of freehold land to the south of Kuala Lumpur. 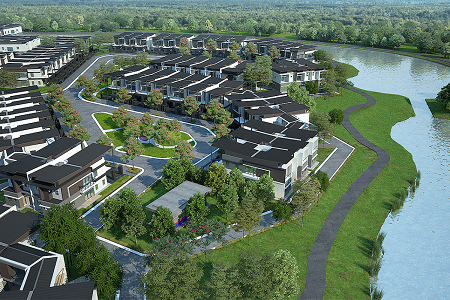 Offering a tropical paradise in Bangi, Serene Heights is a future-ready township master-planned with future expansion in mind, to meet the lifestyle needs of working professionals and families today. Eugenia 1 is the most recent launch within Serene Heights. 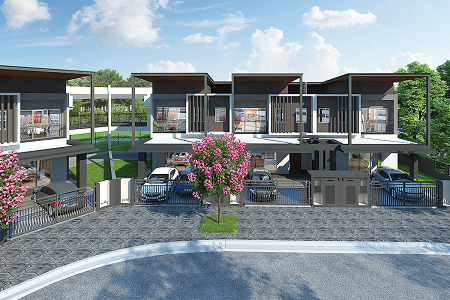 Representing the most recent launch within Serene Heights, Eugenia 1 comprises a collection of modern terrace homes designed to offer spaciousness and comfortable living, complemented by lush green surroundings. With a total of 84 double-storey units with built-ups ranging from 2,081 sq ft to 2,858 sq ft, the project features four-bedroom layouts. It features a limited number of homes offering scenic views across the township’s water features, along with enlarged garden spaces for others. Eugenia 1 leverages on the attractions of the surrounding township, sitting in the middle of lush landscaping, colourful trees and blooms covering the land. The project comprises double-storey homes with built-ups from 2,081 sq ft. Residents can relive the experiences of simpler times through unique green zones, which offer acres of recreational space. The largest of these, the 25-acre Creekside Parkland, is the largest green zone in Serene Heights. It includes a winding 1.3-km long waterway, 3.5-km long cycling and jogging track, and landscaped spaces where the community can gather in the cool breezy evenings for outdoor activities. Themed play zones and recreational parks can be found along the Creekside Parkland for residents to explore, each offering unique features, where the community can play traditional games, and enjoy fun and laughter amidst the natural surroundings. These recreational parks offer a break from the hectic pace of daily working life, allowing residents to reconnect with nature, their minds and their bodies through amenities such as an outdoor gym and reflexology path at the wellness garden. In addition, the Serene Lakepark has a children’s playground, gazebo and viewing deck with a beautiful vista on the nearby lake and fountain. For the playful, the leisure garden comes with a checkers game board placed within a gazebo and is surrounded by trees, connected to the township’s cycling and jogging track, while themed play zones present a peaceful environment perfect for healthy and balanced lifestyles, designed for both working professionals and families. Drawing from Malaysian culture and heritage, these themed zones include sites such as Hopscotch Valley, where residents and visitors can hop, skip and laugh at a giant hopscotch and lawn, and Takraw Park, which comes with a takraw court and three takraw practice areas. Other themed zones include Gasing Land, which comes with a top-spinning area, as well as Congkak Place, where children can learn how to play congkak under the shade of a gazebo surrounded by greenery. 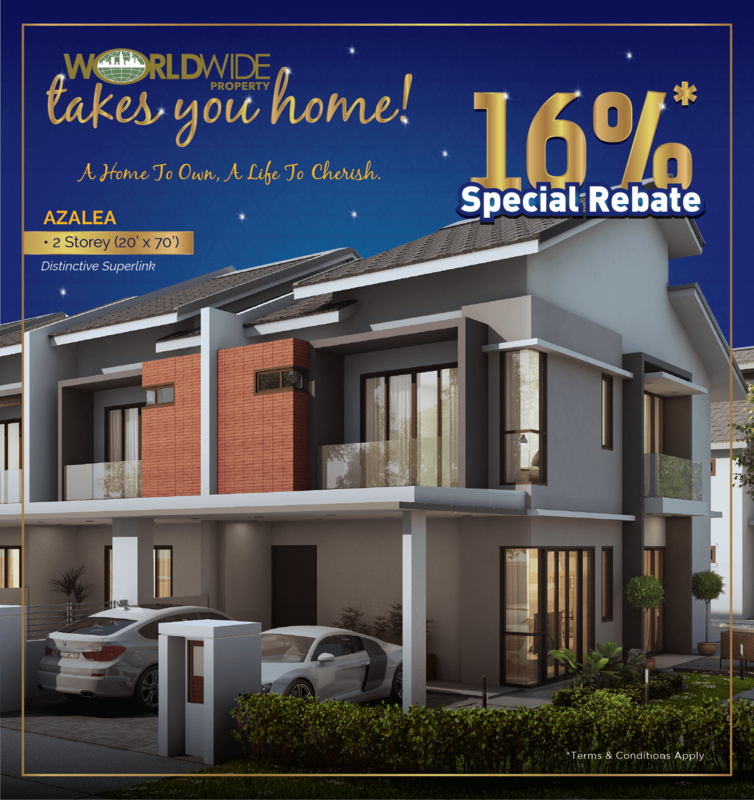 The township as a whole benefits from its location within Bangi, nestled in a peaceful neighbourhood with proximity to established localities such as Kajang, Semenyih, Bandar Seri Putra and Bandar Bukit Mahkota. Drawing on the maturity of these surrounding vicinities, it offers access to schools and other educational institutions, banks, shops and other essential amenities. Nearby educational institutions include Greenview Islamic School, Rafflesia International School and Tenby International School, as well as various public primary and secondary schools, while higher learning institutes such as the German-Malaysian Institute, Nottingham University and Universiti Putra Malaysia offer postgraduate opportunities. In addition, commercial areas such as Bangi Gateway, IOI City Mall and Evo Bangi offer shopping therapy for families, with wholesome recreational experiences available through leisure amenities like Bangi Golf Resort, Bangi Wonderland and Taman Tasik Cempaka. 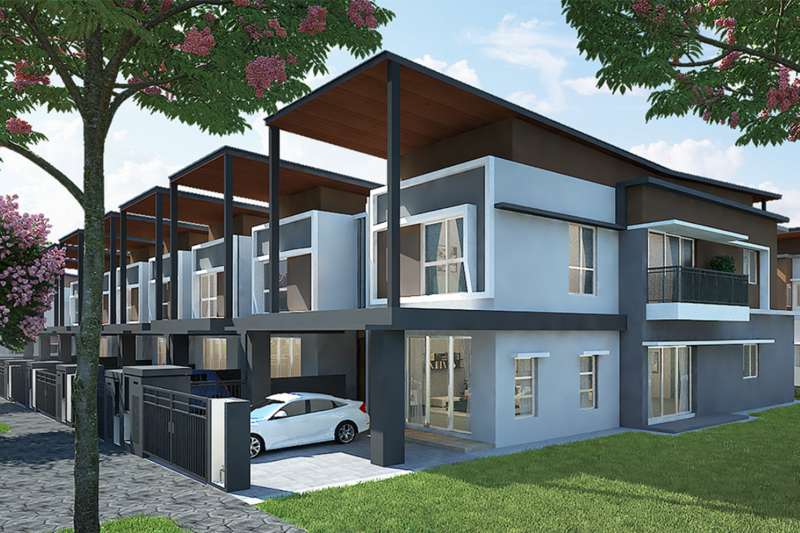 While Serene Heights features accessibility to major routes such as the Kajang-Seremban Highway (LEKAS), North-South Expressway (NSE) and SILK Highway, making travel easier to nearby areas as well as destinations further south, the township has good internal connectivity as well. Tropika Boulevard, for example, invites residents for a walk down memory lane, recalling peaceful neighbourhoods of the past, lined by tall shady trees. Spanning one kilometre and 132 feet wide, this major road links every area in the township with a network of smaller roads. It is also lined by shady trees and two layers of plantings. Floral views and greenery are common in Eugenia 1 and Serene Heights. Meanwhile, the Street of Blooms offers a beautiful floral view, and is landscaped with three types of flowers. These are accompanied with carefully chosen trees, presenting a visually interesting street which bursts into colour when in bloom to enhance the uniqueness of Serene Heights. With carefully chosen natural features, recreational amenities, security safeguards and serene lifestyles, Eugenia offers home seekers more than just a home amidst the green landscapes of Serene Heights - it offers residents to chance to relive their golden years while spending time with family and friends.